VillageMD CEO Tim Barry was recently featured in the Chicago Tribune discussing the company's new $36 million partnership with Oak HC/FT. In the article "VillageMD raises $36 million in Series A funding," Barry highlights VillageMD's plans for expansion in Illinois, Ohio, Georgia and New Hampshire. Barry also addressed VillageMD's role in improving primary care for both physicians and patients, as the industry moves from fee-for-service pricing to a value-based model. "We really need to make sure there’s that level of human touch and human engagement." 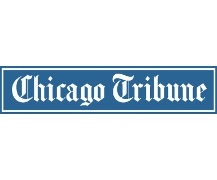 Click here to read the full article in the Chicago Tribune.